The orchid has always been considered one of the most elegant flowers and admired ever, both for its beauty and for the unusual shape of some species. Over time, fortunately, its cultivation has become possible not only in protected environments such as greenhouses, but also in the apartments and homes of everyone. Obvious that require special attention, but the idea to have a flower of such beauty within the walls of the house is always a great satisfaction. Some more resistant species grow wild in Europe and can be found in uncultivated land, often left in total indifference. There are two main types of orchids: tropical ones, suited to rearing in greenhouses or environments like apartments, or the most hardy species that typically can bloom in the spring in the woods or in fallow fields, and better adapt to the outdoor cultivation but, at the same time, they are likely to be protected species not always commercially available. The moment you decide to purchase an orchid will be better to take advice well, considering what species (preferably tropical) is best suited to its home environment. 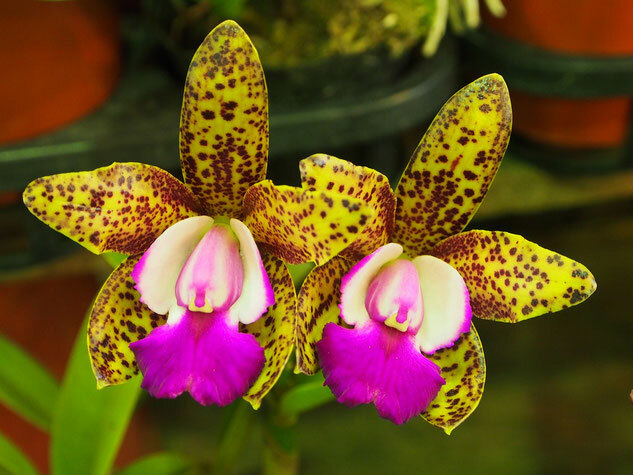 The exposure is, as always, one of the first factors to be taken into great consideration because, choose the right place for your orchid, it means assure a better and longer lasting life. Light is essential as long as this unique flower is not directly exposed to sunlight, heat sources such as radiators or even worse at cold drafts. In spring / summer can be placed outside provided that it's respected the same rule, and maybe its protect from the direct rays of the sun by placing it under a roof, a tree or a gray area, however enlightened.To avoid, at all times, the total darkness areas that can discourage root development. Regarding the irrigation, it is essential to know that this type of plant requires a good level of moisture in the air, as well as regular watering and temperatures constantly warm. If average temperatures will be around 18/25 ° C, it will still be well water regularly at least once or twice a week, making sure the soil is dry before proceeding to a new watering. The humidity discourse instead is to hold in high esteem because these plants are used, in the country from which they come, to have always optimal levels that serve to feed them also, and above all through the leaves. Proceed with regular water sprays can be a solution to counteract the dry climate and in case you have an air conditioner at home that in warmer seasons helps maintain the humidity level too low, it would not hurt to bring a small humidifier close your orchid plant .. The soil is different from traditional plants because the orchids grow in the branches, rocks or other material in which they can grow without necessarily finding home for their roots. This means that on the market will find the "planted" orchids in pots with elements within bark, peat, but also polystyrene and similar materials. Consequently, fertilizing if necessary, can be made with special fertilizers and in very limited quantities, in spring and every 3/4 weeks. 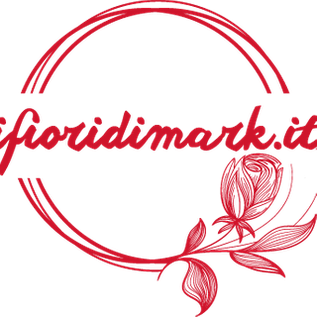 The ancient legend tells about a boy called Orchide to whom began to sprout breasts and, in time, began more and more evident at the sinuous shapes and delicate feminine. Since boys and girls avoided him and his character was becoming daily more intractable, in desperation he decided to throw himself off a cliff. As if by magic, in the place of his death began to appear beautiful flowers that were called orchids. The orchid, in the language of flowers, means thanksgiving for granted love, making it a gift for someone who already returns a love or a passion (love given precisely). Vanda: it's subdivided into three subspecies unteriori with tape leaves, cylindrical and intermediate leaves leaves, vanda does not much like the vessels, and live better in hanging baskets. It can bloom all year round, with peaks in spring and summer. Paphiopedilum: It includes about fifty species and produces a single flower, however, despite its cultivation is not very difficult, requires a lot of care and for this is better suited to careful gardeners and patients. 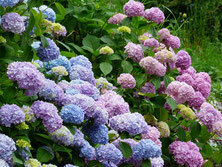 It blooms once a year but its flower is highly resistant over time than other species. 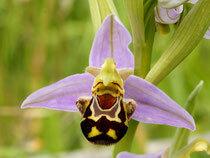 Cymbidium: è una specie riconoscibile dalla ampia varietà di colori disponibile. La temperatura media a cui può vivere è compresa tra i 15 e 18° C con punte minime notturne di 10°C. E' fondamentale che abbia sempre una buona ventilazione. Cattleya: is a rustic species that do not require special care, except for the suspension of nebulization in October when the vegetative rest begins and the foresight to see that there is always good ventilation and never a higher thermal shock at 5/6 °C. 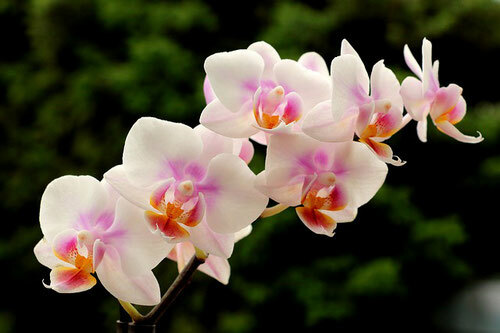 Phalaenopsis: It is undoubtedly the most popular and beloved species in the world. Its name is in fact formed by "Phalena" words, namely butterfly and "opsis" meaning similar. Tolerates high temperatures as long as the shadow and placed in an area where it is well ventilated. Better not to take it outside in the summer. Dendrobium: with its 900 species it is certainly one of orchids with the largest family ever. For this reason have been further divided into six groups categorized according to typical cultivation environments. Brassia: It is a very particular species that has undergone many reclassification over time. Its flowers may have a size of around 45 cm when measured from the tip of a tepal other. During the vegetative rest, usually, it does not lose its leaves. Pleione: originally from China, Tibet and Nepal, this kind of orchid is rather rustic and small. It 's important to respect her vegetative rest and minimum temperatures (3/5 ° C) to which it is accustomed, or may not make it last over time. Dracula: it's a very special species, characterized by a hundred subspecies that prefers shady and moist areas. The Dracula Vampira, the most famous of this species is localized only on the Mount Pichincha, in Ecuador. Cambria: is a very common species in homes and especially in trade. It not by chance came from a mix of other species in order to produce an orchid that would fit well to cultivation in the apartment. For this reason its cultivation is quite simple, to get good results just follow the basic rules of the orchid cultivation (see above). Oncidium: the dancer orchid includes more than 400 species and, above all, a variety of colors that make it one of the most popular species and admired ever. Also this typology is divided into various subgroups classified according to the cultivation environments.